He is risen! Easter is a time for Christians around the world to remember the ultimate expression of love that happened some 2000 years ago. This ultimate expression of love is Jesus Christ showing grace and compassion to those who brutally beat and tortured him. It is Jesus Christ asking the Father to forgive those who condemned him. It is Jesus Christ willingly laying down his life so that we can intimately know God and be known by God. It is God never giving up on humanity and pursuing relationship with us no matter the cost. What can we learn from Jesus, his life, and his sacrifice. What lessons did Jesus teach us that we can apply to our relationships, marriage, and everyday life? There are numerous lessons we can learn from Jesus. I want to focus on a couple of key points that I believe all of us will be able to relate to. First, Jesus knows what it means to be abandoned and rejected. When I read the Scriptures about the night Jesus was crucified I can only imagine what he felt. In his time of need the disciples abandoned him. Peter denied him. Those he came to save rejected and condemned him. Even as he hung on the cross and took upon himself our sins there was a separation between Jesus and the Father. He was all alone. I know that all of us can relate to the feeling of being alone. It is painful and scary! Yet, Jesus lovingly faced being alone so that we will never have to be alone and separated from God. The second point I take away from the Easter story is that Jesus is what I call the ultimate pursuer. What I mean by this is that he never gives up on you? His love for you is undying. His grace is unending. He wants you to connect with him in the deepest and most meaningful way. Jesus wants you to know that your are loved even in your brokenness. As the Scriptures tell us he will never leave or forsake us! Let us aspire to love like Jesus loved. Let us allow God to transform us from the inside out making us more like Christ. We all need to grow in grace and truth. 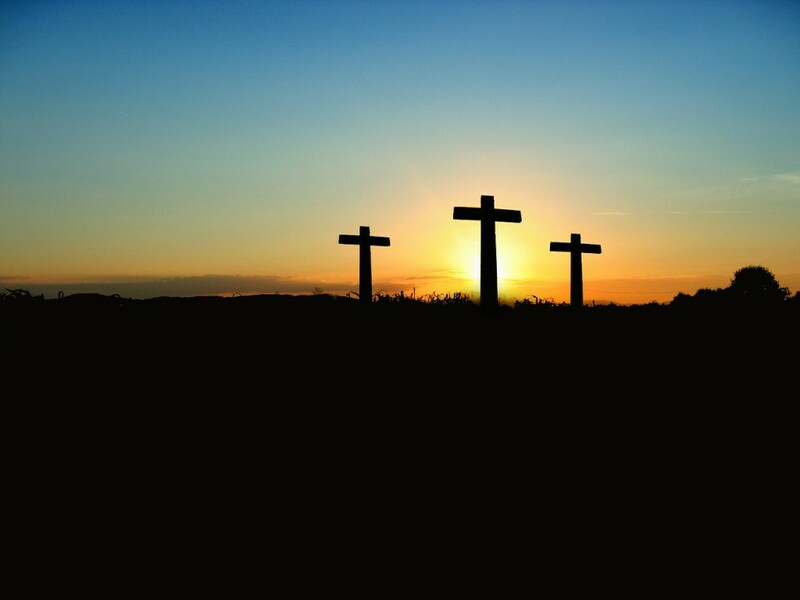 My prayer is that this Easter we remember the ultimate sacrifice Christ made for us. We remember that God is not some distant uncaring supreme being who does not understand the human experience. He knows our pain because he has experienced it personally! Even more, his love and relationship is the cure to our pain. Let us also aspire to pursue others the way Jesus pursues us. Remember to love your spouse, your friends, your enemies, those who are not like you, those who think or act differently, and the broken and downtrodden. In so doing may we fulfill the what Jesus taught as the greatest commandment… love the Lord our God with all of our heart, soul, mind, and strength and to love our neighbor as ourselves. Below is my guest appearance on The Couple’s Expert Podcast with Stuart Fensterheim. I am interviewed about what it means to be a Christian counselor and the lessons we can learn from Easter. Listen and take time to reflect on all that Christ has done for you, how much he loves you, and how valuable you are that the God of the Universe wants to intimately and personally know you. He is risen, indeed! Travis Frye on The Couple’s Expert Podcast with Stuart Fensterheim. To learn more about The Couple’s Expert Podcast with Stuart Fensterheim click here.